Isn't it nice to have your own Samsung Galaxy Tab 4? Read on and you just might get yours for free! 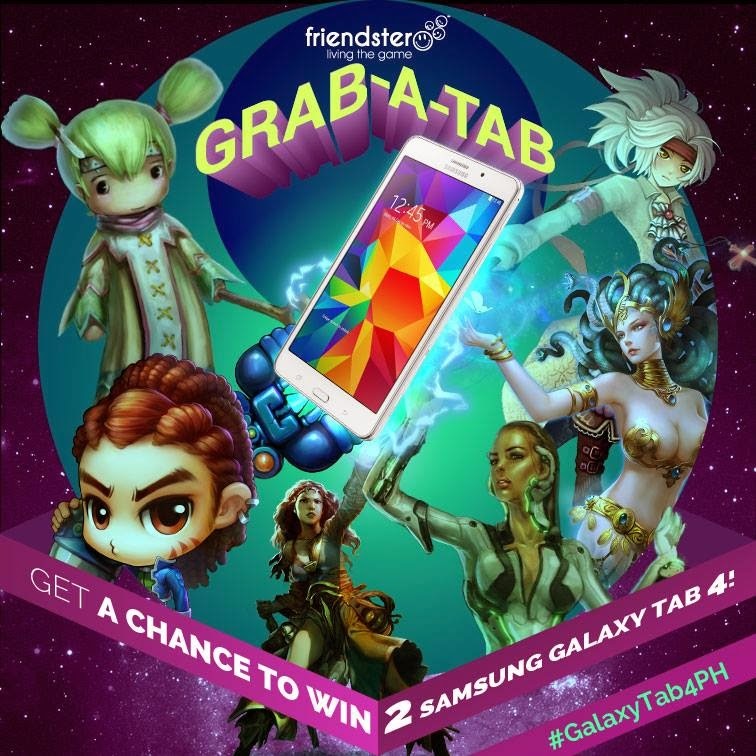 This September, Friendster is giving away 2 Samsung Galaxy Tab 4 and 100,000 Friendster coins! Join our Grab-A-Tab promo and be the lucky winner! All you have to do is take a screenshot of your Friendster game character answering the question, "Why should Friendster give you a Galaxy Tab 4?" Don't wait! Join now because the promo is from September 5 to 18 only! - 2 lucky participants will win a SamsungGalaxyTab4!! - 4 most creative answers will win 25,000 Friendster coin each!